From our drivers to our leadership team, we operate on a simple principle, integrity. Our people are committed to service and excellence. Our mission is to make the ever changing cycle of transportation easy for our customers. If we experience a bump in the road, we make you aware. Our difference is not presenting you with a problem, but outlining a solution. Rain Dogs is always striving for improvement so your feedback is critical. Please take a second and a quick send evaluation to management on the services provided. Rain Dogs Trucking provides quality work at a premium level. From our office staff to our drivers, we all pride ourselves on being a professional and reliable carrier. We believe communication, professionalism and dedication are what make up excellent service. As such, we hold ourselves to high standards for each and every load we book and deliver. When your freight is in our hands, you know it will get delivered the Rain Dogs way: Safe, reliable and on time. Next time you need freight delivered, don’t just ship it. Rain Dog it. "Rain Dogs is hands-down my first call when I need something moved quickly and handled correctly. My shippers value the professional, courteous, and patient drivers. My receivers value the on-time service and carefully-handled freight. I value the high level of communication their people maintain throughout the life of each shipment--from order tender, to pick up, in transit, and then delivery. In the rare instances where Rain Dogs has run into circumstances that affected on-time performance, I have always been made aware of the issues immediately. In fact, this carrier is at its most impressive when service is on the line. The hustle, tenacity, and innovation the team at Rain Dogs demonstrates in order to protect its elite level of service is truly special. I will continue to both use and recommend Rain Dogs without hesitation. My trust and loyalty have been earned week in and week out by the friendly, dedicated people at Rain Dogs, who provide outstanding service, proactive communication, and innovative solutions." "I have worked with Rain Dogs Trucking for a number of years. When I send a load to them, I know that they will take care of it every time. If Load Delivered Logistics needs a quality truck to take care of an important customer load, Rain Dogs Trucking tops our list! 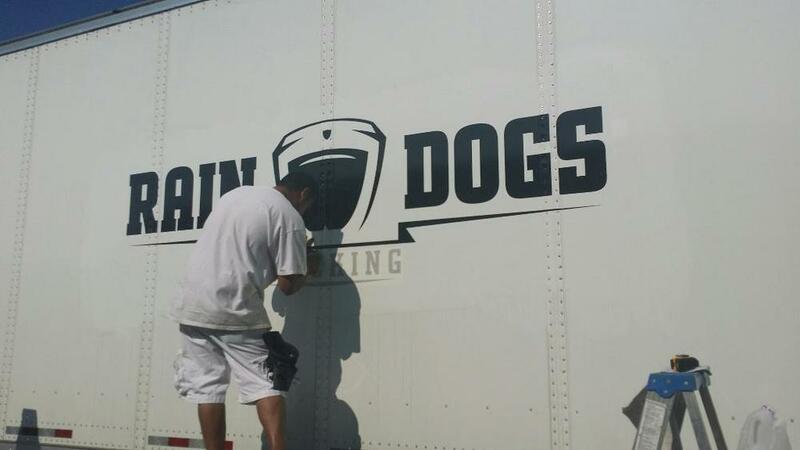 Believe me, if you want customer service at its finest, call Rain Dogs Trucking today and they will get the job done!"